Coming soon to Steam is Warlock’s Tower, a ‘punishing puzzler with elegantly designed levels around one simple rule – one move equals one life lost. Watch your step!’ And once out on Steam, next year it’s coming to the Nintendo 3DS! Werther Azevedo: “Well, I’m half of our small two men studio. I’m a composer/designer with 10+ years of experience building interactive stuff. Production-wise, I’m usually more focused on artsy duties, such as audio and visuals, but as a designer by trade, I also design levels and discuss high level game design ideas and concepts with Ygor. Werther Azevedo: “The process was tortuous and chaotic at the beginning, since we only got to work on the game in small bursts. 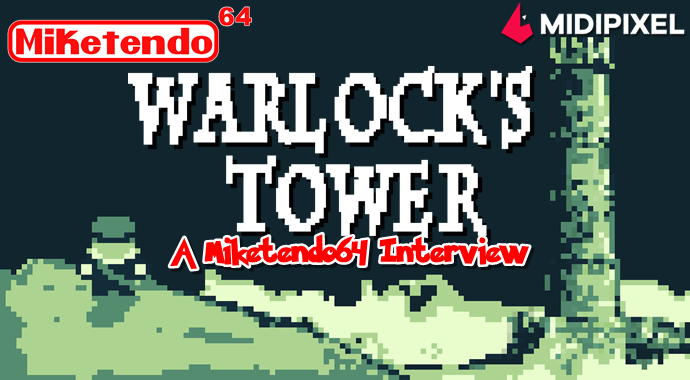 To be honest, Warlock’s Tower was first intended to be a quick game with a nice mechanic, but as it grew on us, it also grew in scope! After the award, we started addressing it in a more orderly manner, with decent project management habits. My favorite moments were probably the happiness injections we got on two occasions: First, when we won the award. Then, when we presented the game at BIG Festival and the reception was really beyond our expectations. Love this developer duo and loved this article :3 Great work, Miketendo!